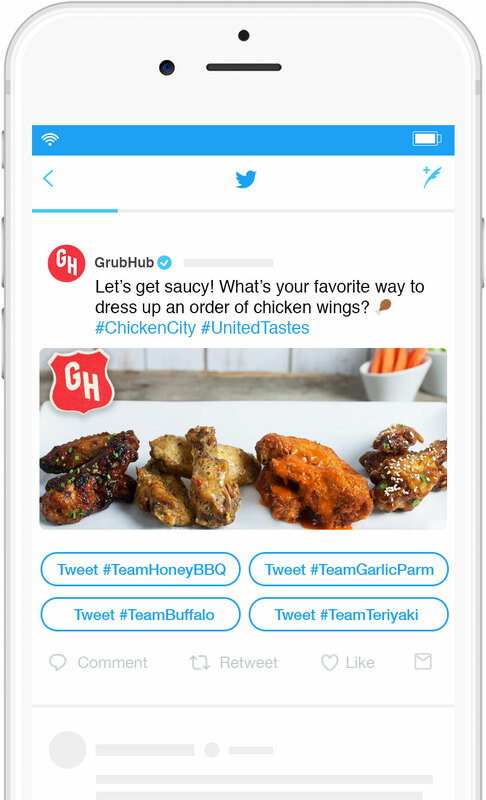 As part of its “United Tastes of America” campaign, Grubhub asked us to drive engagement. It wanted users to participate with, rather than consume, certain pieces of content. 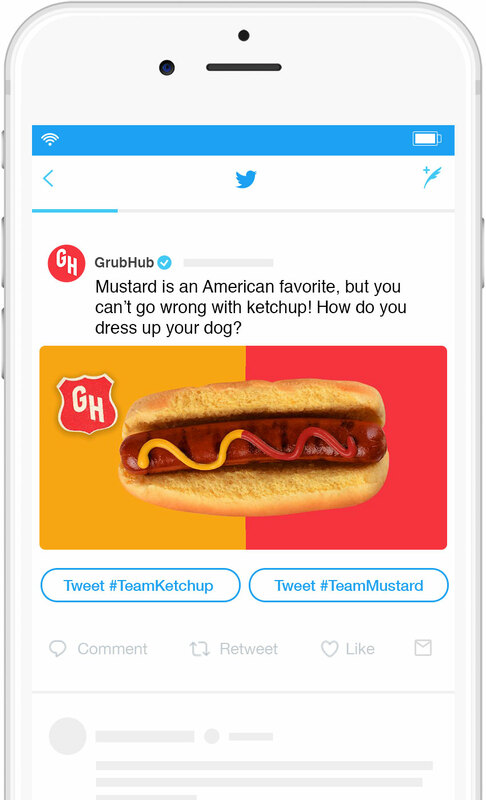 In response, we recommended Twitter’s Conversational Ads, which encourage audience participation by adding CTA buttons beneath the creative. 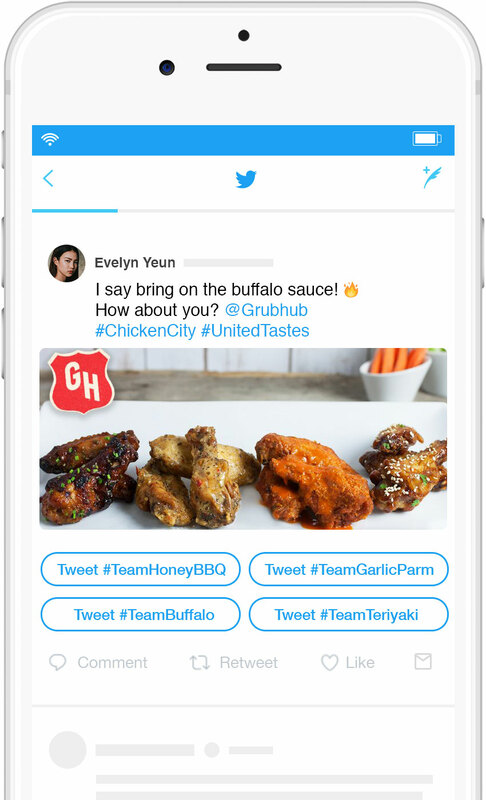 When users click a button, it auto-generates a reply tweet based on their answer. During “Lobster Roll Week,” we created a custom video pitting two major styles against each other: Connecticut (Warm and Buttery) and Maine (Cold and Classic). 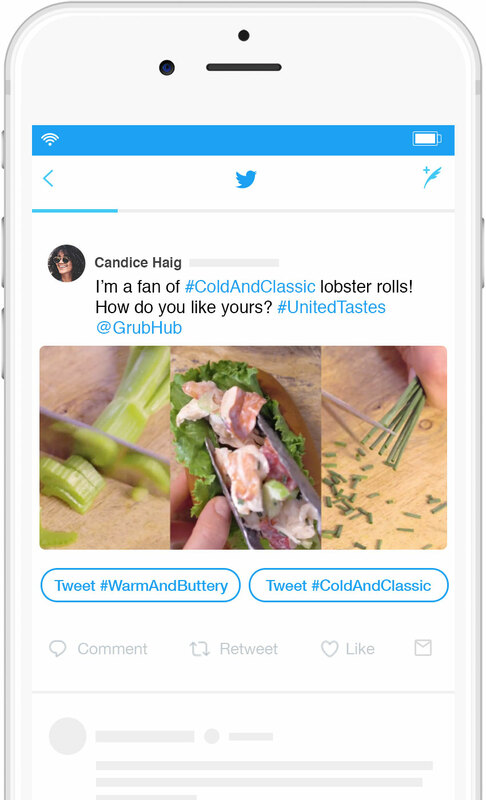 Beneath the video, we prompted users to vote for their preference, clicking buttons that auto-generated tweets with #WarmAndButtery and #ColdAndClassic. The video was styled to contrast the warm colors with the cold ones, but also to make both styles look equally appetizing. The Conversational Ad was so successful that we created two more during the course of the campaign.